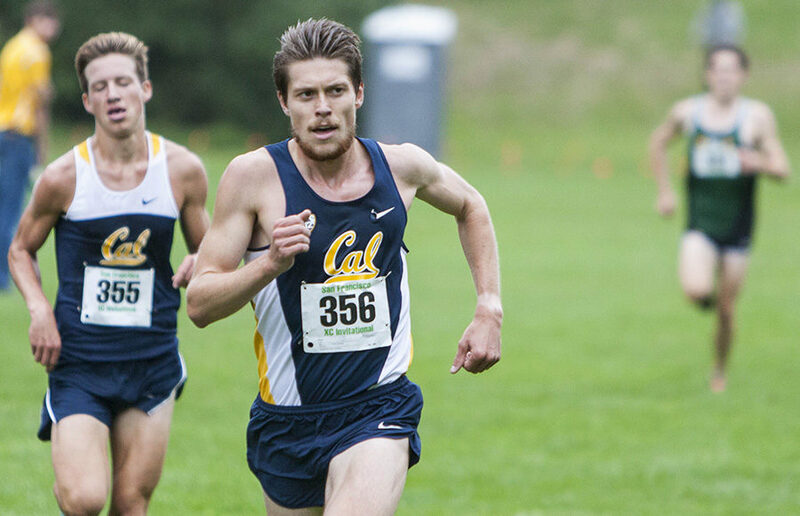 For the third straight year, the Cal cross country team opened up its season as champions. The men’s team came into Golden Gate Park on Saturday and successfully defended its USF Invitational title, while the women put up a good fight as well. At the 24th annual University of San Francisco Invitational, the Bears showcased their collective brilliance in the men’s 8K. There was also an individual record-breaking performance from redshirt junior Trent Brendel, as he finished in first place by completing the course in 24:21.1. Following Brendel’s lead were four other Bears who registered times in the top 10. It was an exciting event for fans to witness, as sophomore Robert Brandt finished just a second behind Brendel. Not trailing too far behind them was junior John Lawson, who finished with a time of 24:42.6 and placing fifth overall. Redshirt freshman Paul Zeiss (24:53.6) and junior Cameron Tu pushed each other to the finish, scoring a second apart, placing eighth and ninth, respectively. For the Bears, it was an impressive showing, as no other team was able to place more than two runners within the top 10. It was a morning of victory for Cal, who for the third year in a row won the men’s competition, for the program’s fifth such victory at the USF Invitational championship overall. Brendel’s performance also delivered the Bear’s their third consecutive individual first-place finish. On the other hand, the women’s team came up short on repeating its championship performance from a year ago. The women finished the 6K event in third place, behind Stanford and eventual champion University of San Francisco. Although the women couldn’t come up with the win, Cal put together yet another top-10 display. As expected, junior Bethan Knights led the way for the Bears, finishing with a time of 21:02.8, which placed her fourth overall. Crossing the finish line at 21:13.7 was sixth-place finisher sophomore Marissa Williams. 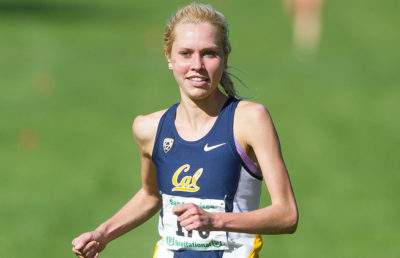 Cal would see another runner come through 10 seconds later, as redshirt freshman Skyler Flora would see her time place ninth. Senior Megan Bordes also finished behind an “unattached” runner, whose time would not count for scoring, securing the Bears four runners in the top 10. The women’s performance gave the Bears more runners in the top 10 than any other team Saturday. The closest school to matching that figure was USF, the winning team, with three. It was an encouraging morning for Cal overall, as it went up against two teams ranked in the top 20 of the U.S. Track & Field and Cross Country Coaches Association, or USTFCCCA, coaches rankings. Therefore, the most important thing Cal can take away at the conclusion of the weekend is the knowledge and confidence that its team can compete against top competition, and they now know better what it takes to be a national contender. “It is very important to start off great early, because we want to be in great shape heading into the more important races in late October and mid-November,” Houlihan said.